These are #6 custom designed gunmetal finish steel slotted posts. 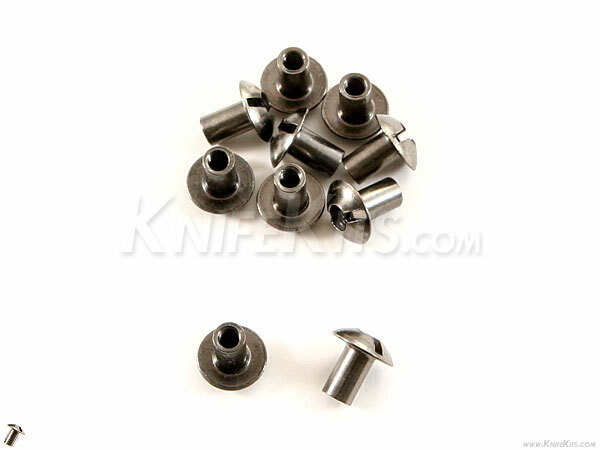 They are used for mounting sheath and holster attachments. Because they are slotted, they can be easily tightened or removed. Some users also like to reverse their mountings to make the attachment more secure. These will fit any screw with an 4-40 thread.